Abu Dhabi Ports said one of its subsidiaries Maqta Gateway is set to carry out its first testing of international blockchain solution Silsal with a maritime operator in partnership with MSC Mediterranean Shipping Company, a global leader in shipping and logistics. The announcement marks the latest milestone for Silsal. The innovative solution provides a seamless and secure link between stakeholders across the trade community using the electronic ledger system, said a statement from Abu Dhabi Ports. As a major carrier, MSC will provide vital information and feedback on the international pilot project, which will test the capabilities of the technology to exchange, identify, and acknowledge cargo documents and certificates between Abu Dhabi Ports and other ports, it stated. CEO Captain Mohamed Juma Al Shamisi said: "The vision of the UAE Leadership is for our nation to become a world leader in adopting blockchain, as per UAE Blockchain Strategy 2021, transforming digital transactions and saving time, effort and resources on a huge scale." "Abu Dhabi Ports is proud of the role that Maqta Gateway and initiatives such as Silsal are playing in helping to realize this vision and we will continue to harness the power of innovative solutions and emerging technologies to further facilitate trade in the future," he noted. MSC Group President and CEO Diego Aponte said: "We greatly value our partnership with Abu Dhabi Ports, working together to facilitate trade and improve our customers’ experience through technology and innovation." One of the world’s leading shipping firms, MSC has a network of more than 480 offices in 155 countries, a fleet of 510 container vessels and over 70,000 employees. Its global sailing schedules cover 200 routes, calling at 500 ports. Maqta Gateway CEO Dr Noura Al Dhaheri said: "We are delighted to be working with a world-class international partner such as MSC on such a milestone project for Abu Dhabi Ports, Silsal is the first unveiled blockchain solution of its kind between our Emirate and the world." The partnership with MSC is a major milestone for the Silsal project, as it will allow the technology to be tested with a major container carrier for the first time. Andre Simha, the chief information officer at MSC Mediterranean Shipping Company, said: "This innovative pilot project should help pave the way for improved documentation flows and streamline supply chains for companies." "We welcome new partnerships which reduce delays, improve inventory management, and identify issues faster, resulting in significant cost savings for all parties involved," he noted. Blockchain technology acts as an open digital ledger that can be used by trade actors to record and extract transaction details with greater security, transparency and efficiency. 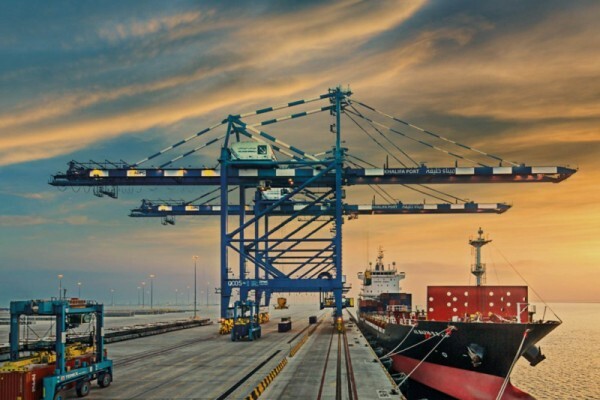 First unveiled in June, Silsal has been rolled out in phases and will be offered first to freight forwarders and their customers, and subsequently extended to the rest of the trade community as a complementary tool to Maqta Port Community System. As part of the pilot project, Maqta Gateway will use Silsal to run a Proof of Concept test for the handling of international trade documentation using blockchain technology. It was developed internally in the Digital Innovation Lab at Abu Dhabi Ports. The project is managed predominantly by UAE Nationals, with Emiratis making up more than 75 per cent of the team. Ninety per cent of the team are young, dynamic talent under the age of 40.